My daughter Skyelyn is a bundle of fun. Her laugh will just melt your heart. She is full of energy an loves to have fun. Skyelyn is very outgoing and loves to talk. She is the light of my life. 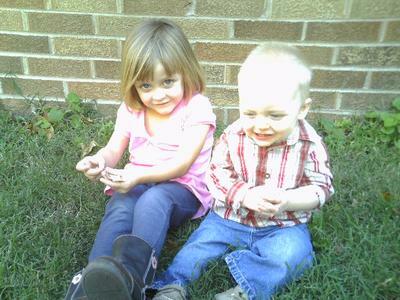 Enclosed is a picture of Skyelyn and her little brother.